The Frost collection is elegant and sophisticated with a lot of personality! Mermaid a faux velvet and Shelby a satin crepe; are two shimmering textures who lend a gracious air to any window treatment or bedding. 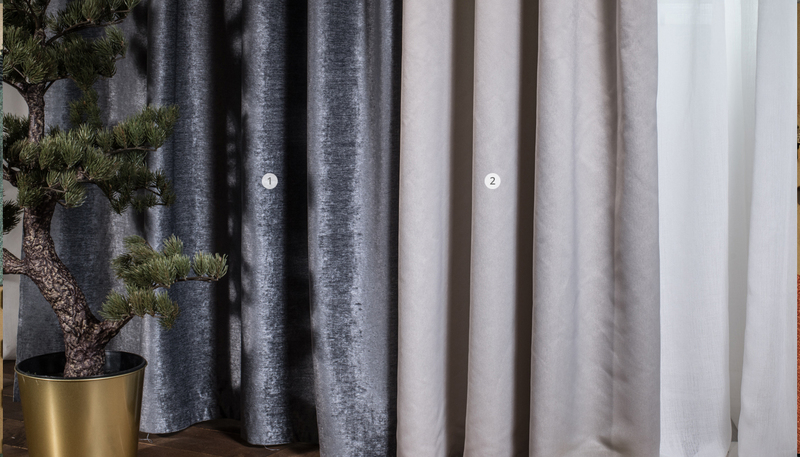 Frost Collection is offered in 37 deep and rich colours; giving a luxurious effect to these fabrics. Their classic appeal seems equally at home in country cottages or suburban retreats; as well as hotels or restaurants. Washable and flame resistant, Mermaid and Shelby pass NFPA 701 and AATCC96.